1. These are the supplies needed to complete this project. You will also need wire cutters. 2. 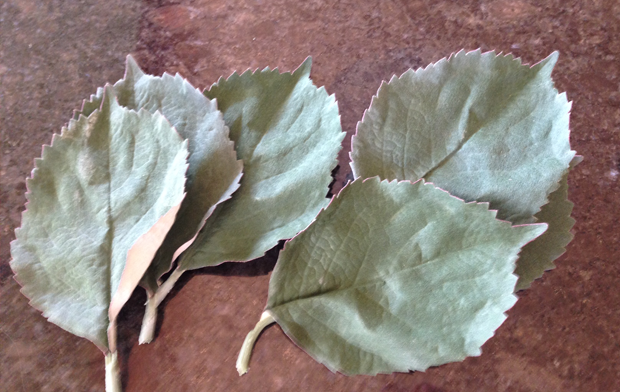 Lay your grapevine and snip the flower stem to about 1"-2". 3. 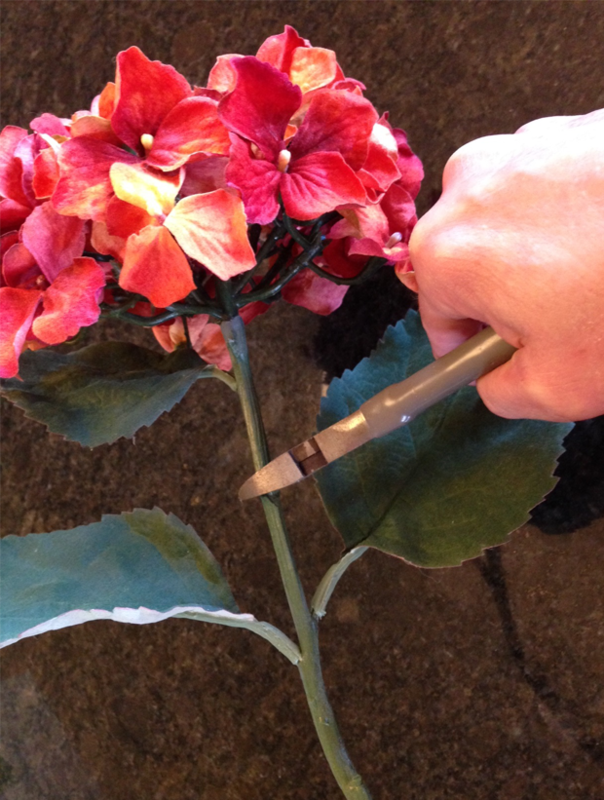 Pop off the leaves to add in later, just leaving the flower with stem. 4. 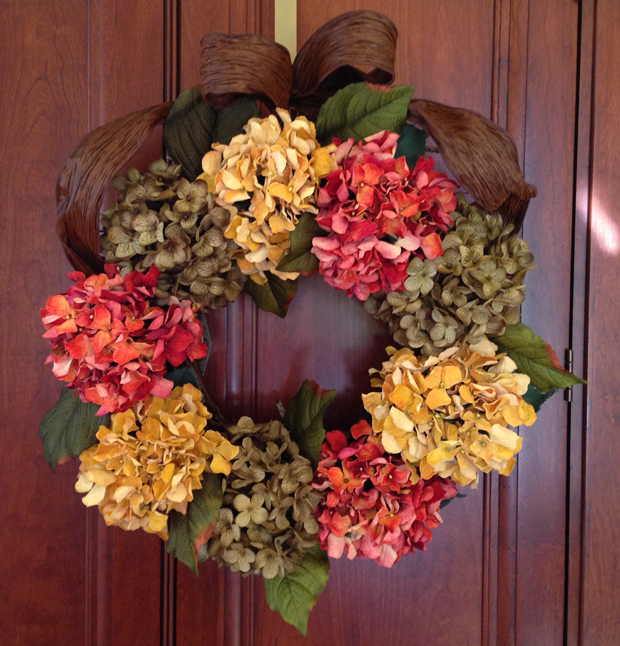 Align your flowers to the wreath so that you know where to place them. 5. 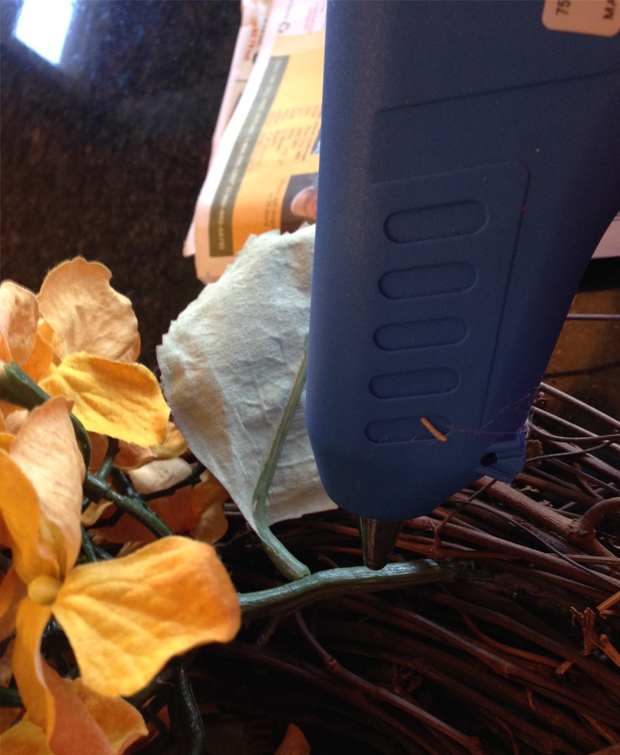 Heat your glue gun and generously apply glue to the ends of the stem, and push into the grapevine. If you want to rearrange, just pull them out, re-glue and stick back into place. 6. 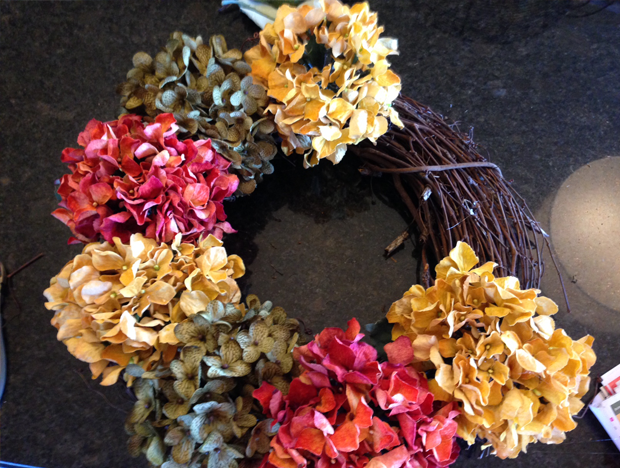 Dab glue on the end of the leaves and apply them underneath the flowers into the wreath as you like. 7. 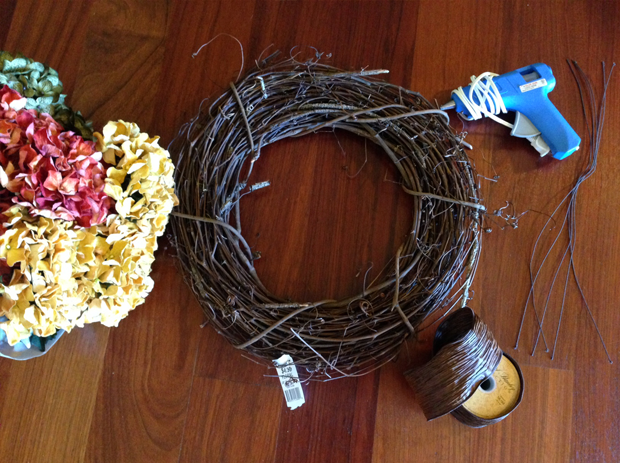 Add the ribbon of your choice to the hanger.